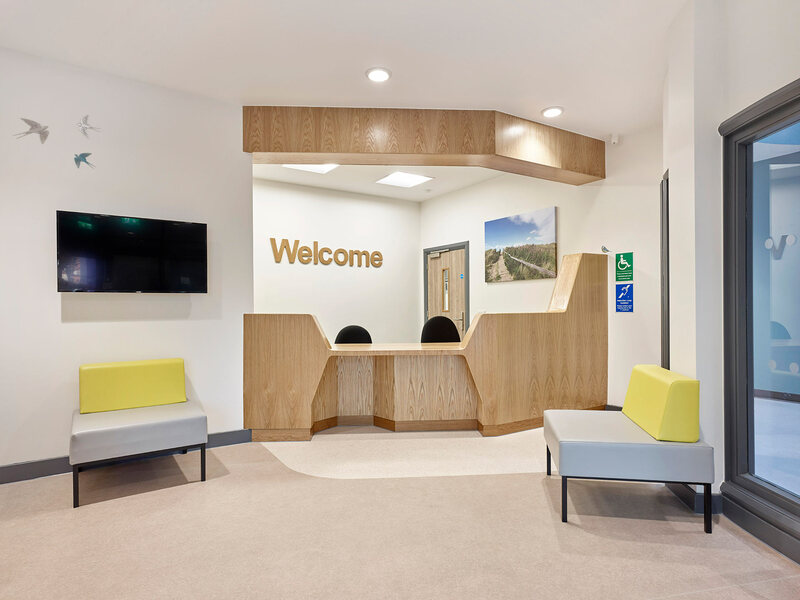 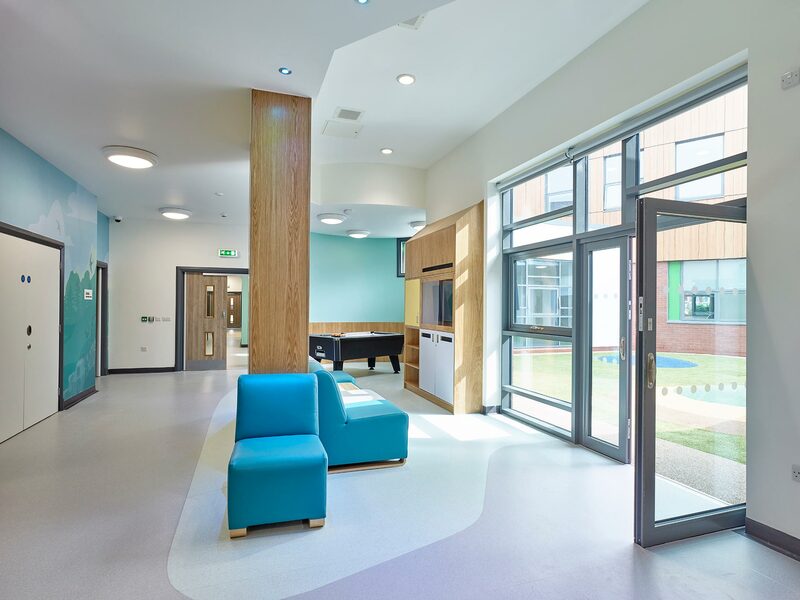 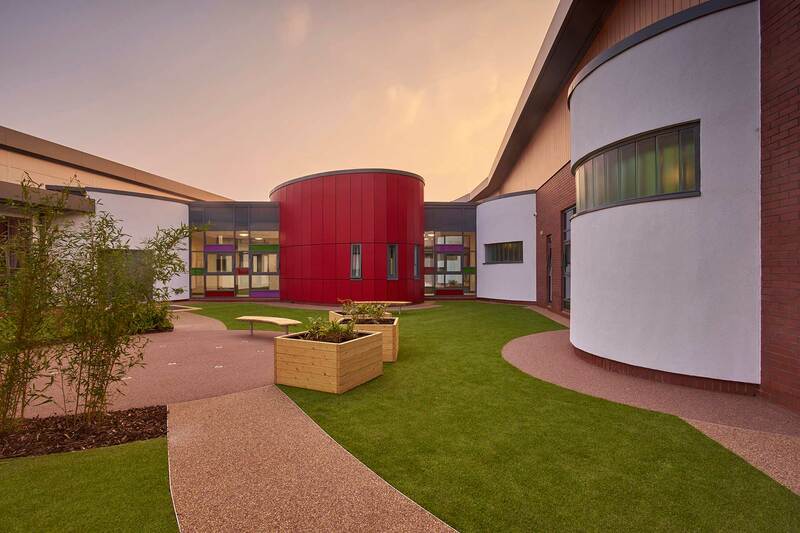 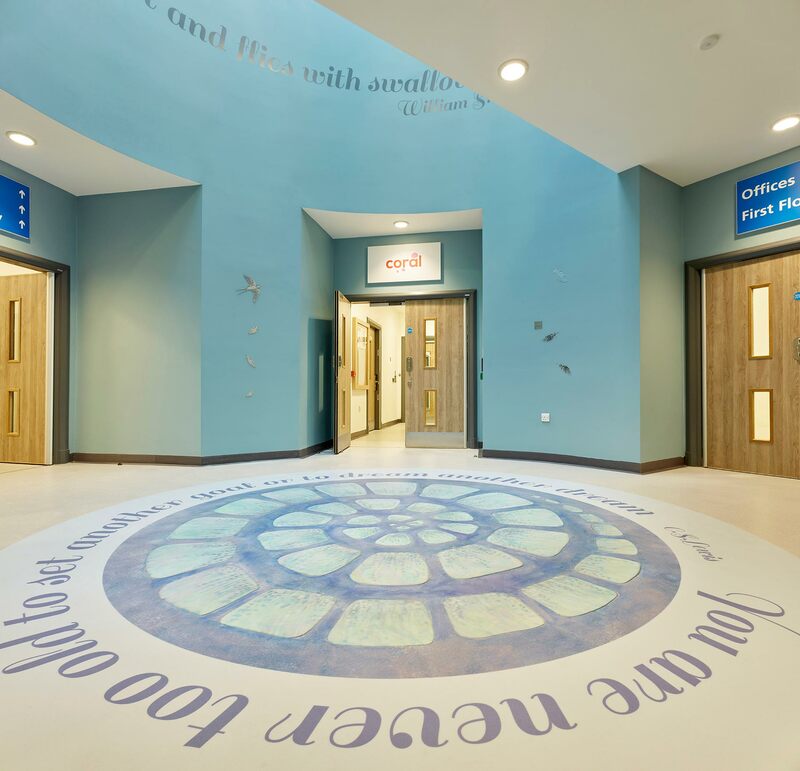 Boex provided a full interior design service for a new build £14m Children and Adolescent Mental Health Service (CAMHS) unit. 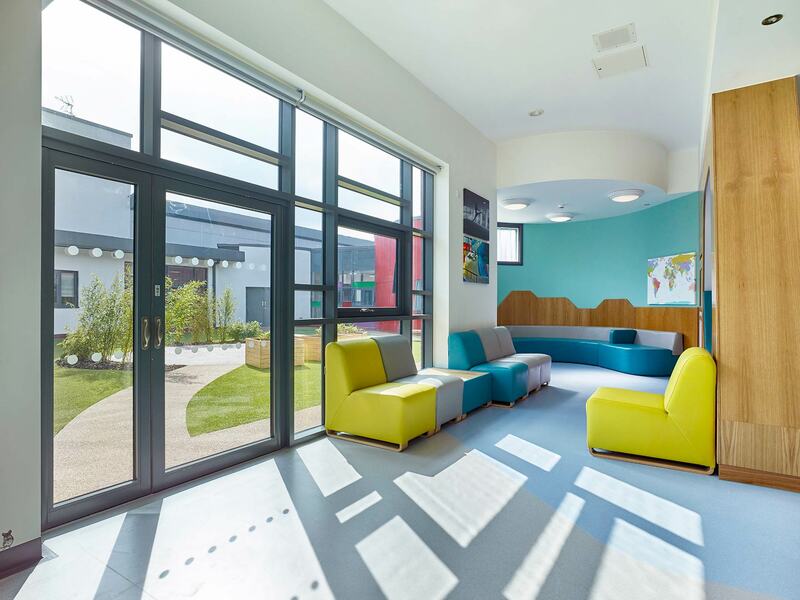 A sensitive and challenging area to work in, safety and practicality is a high priority. 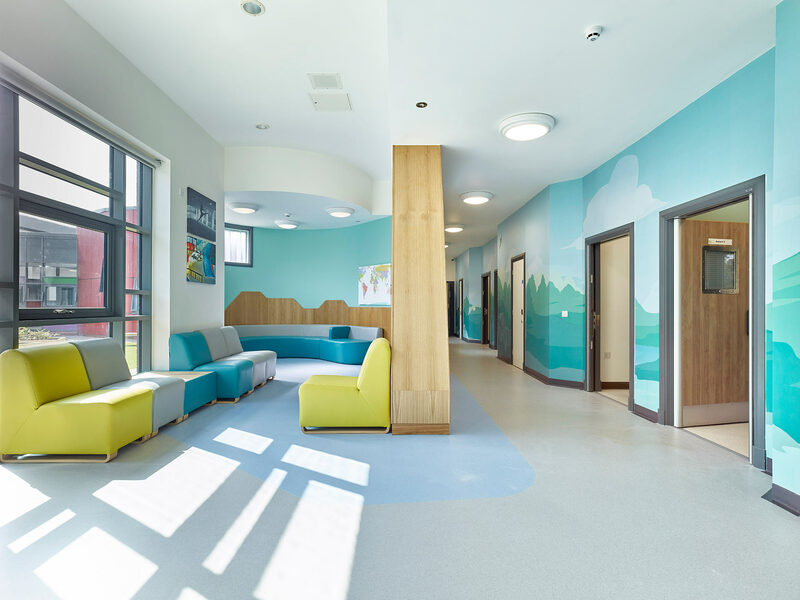 We used our unique co-design sessions with the very young people who will benefit from this new building to inform our designs and create something we hope will encourage the further de-stigmatising of mental health services. 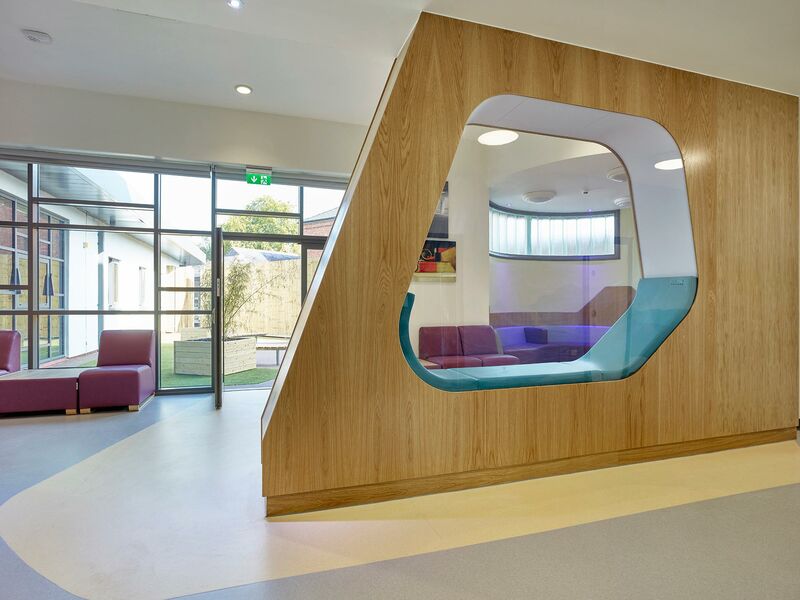 The day spaces have games consoles, a pool table and a range of seating options at different levels as we all know how teens love to lounge! 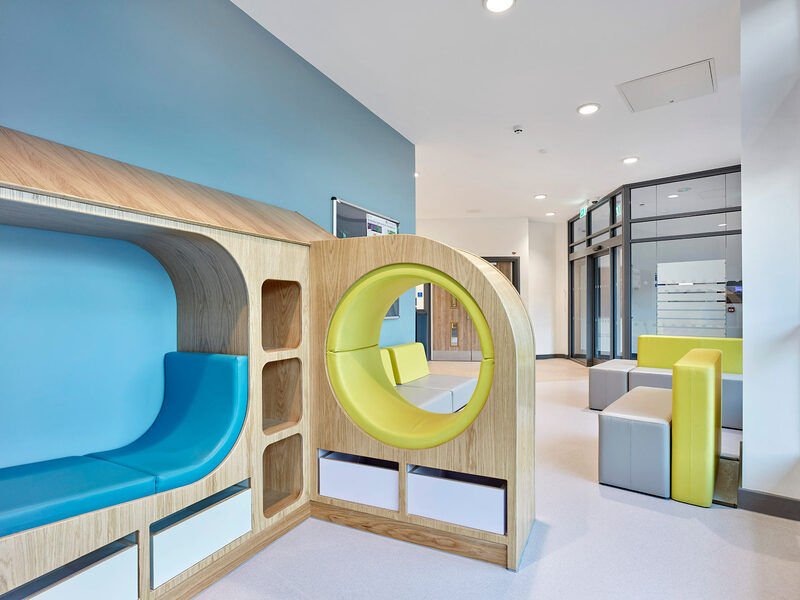 Using pelmets and timber dividers to break up the space, line of sight is maintained whilst still offering a cosy corner for a quiet moment. 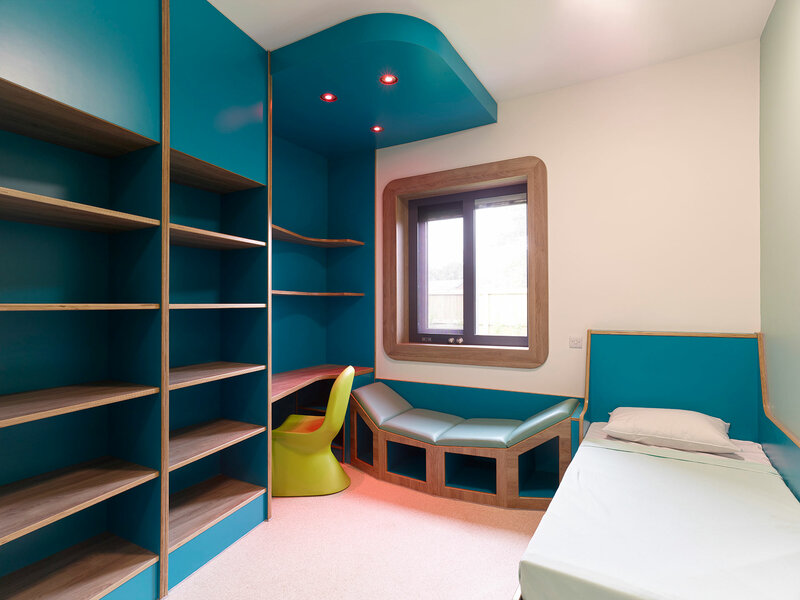 The 26 bedrooms have been designed to be homely in feel, with plenty of storage and adjustable lighting. 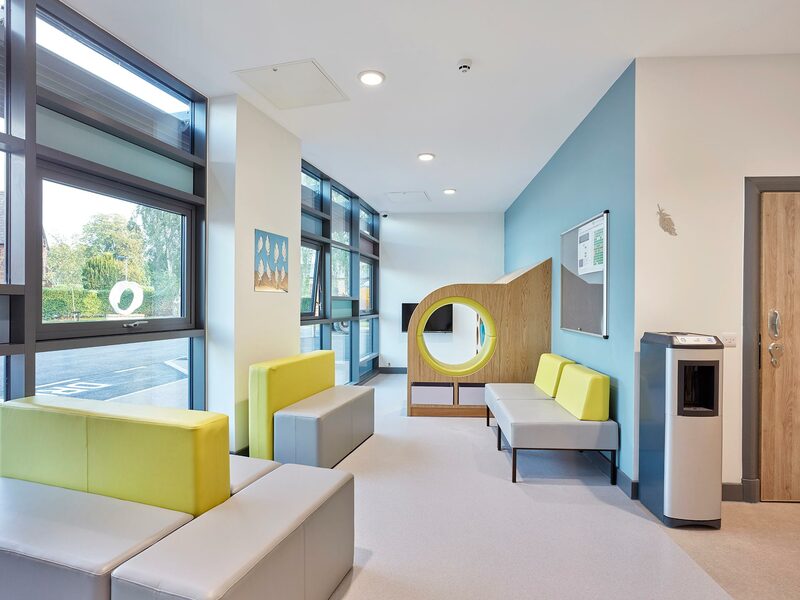 Light coloured timber with radius edges softens the feel of the room. 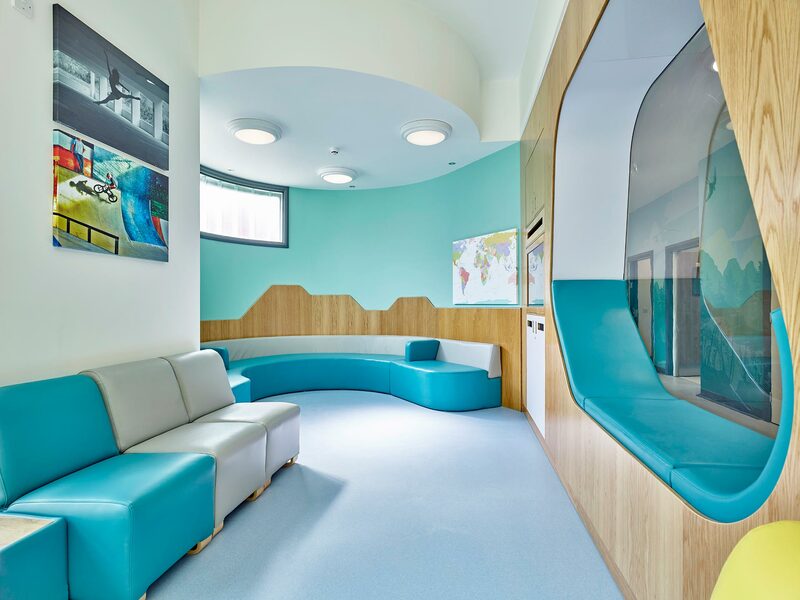 Curved edges to the furniture, eradication of ligature points and infection-safe materials offer a design that is fully compliant to a modern mental health setting. 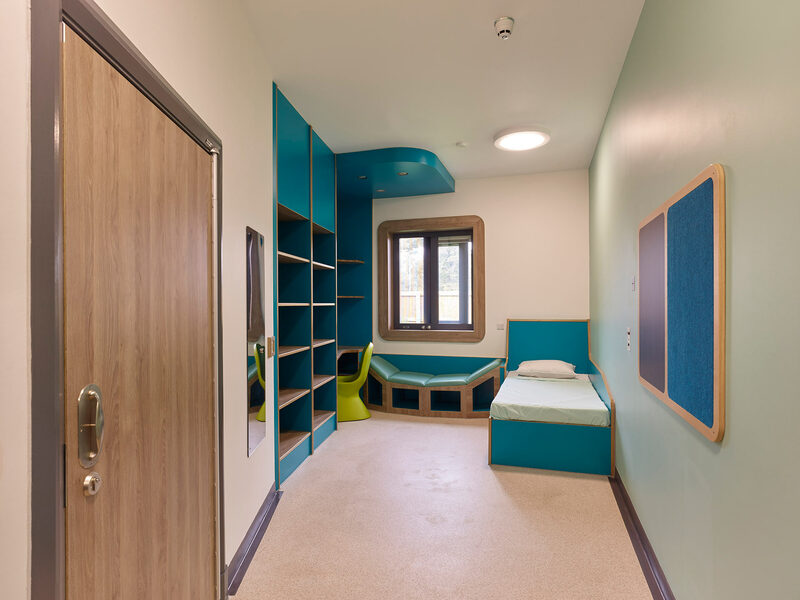 The Education suite has been designed to give a feeling of transition from the day to day activities of the unit, into the learning environment. 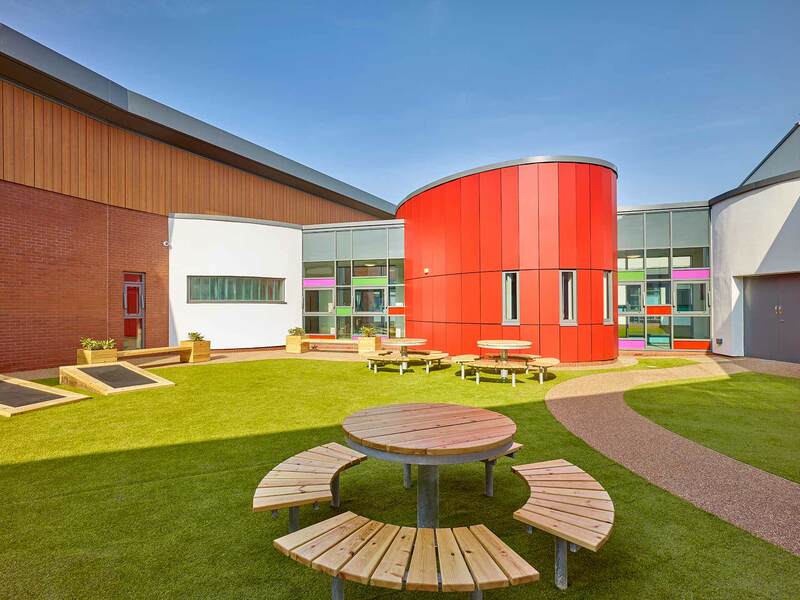 Designed to support the curriculum for young people, each subject has fully equipped and flexible spaces. 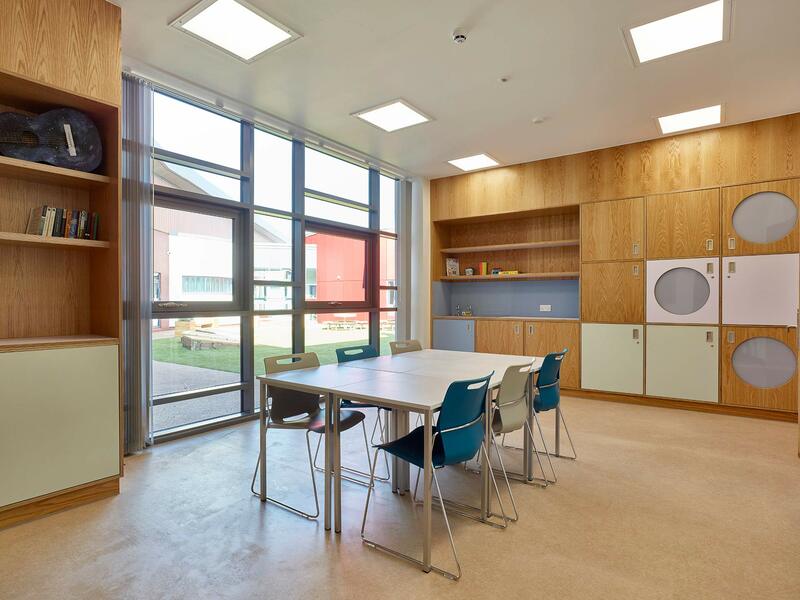 Features like lockable cupboards and no exposed sockets help to provide the safest environment for learning. 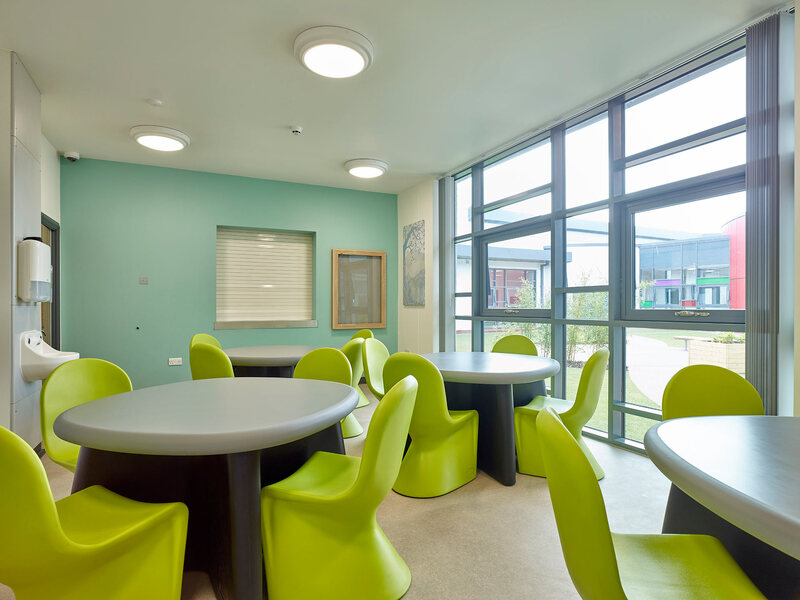 Using a palette of bright but gender neutral colours, and modern infection-safe upholstery and finishes, we have created spaces that retain an informal feel where young people can relax and staff are able to provide the best support.